Mr. Randazzo has spent more than 35 years in the health care and technology fields. He brings vast experience in executive leadership to his role as a Senior Advisor to Athyrium. He has been a serial entrepreneur, having founded or led over a half dozen companies to successful exits. In addition to supporting Athyrium, Mr. Randazzo currently serves as Executive Chairman of Sentry Data Systems, a provider of pharmacy technology solutions to hospitals, and Chairman of Complex Care Solutions, a high-touch care management company. Mr. Randazzo helped lead both of these organizations prior to their sales. Mr. Randazzo also serves as Executive Chairman of Water's Edge Dermatology, Chairman of Docutap (a Warburg Pincus portfolio company), and a board member of IMC, a Medicare-focused medical group based in Miami. He also co-founded FastMed where he served as CEO for 3 years before becoming Executive Chairman. Fastmed was the second largest independent urgent care network in the United States. Prior to FastMed, Mr. Randazzo was CEO of Touchstone Health Care, a managed Medicare company with more than $100 million in revenue, and served as CEO of BenefitPoint, an employee benefits technology firm now part of Vertifore. 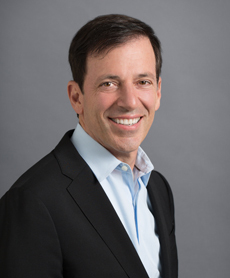 His executive experience also includes being President and CEO of Women's Health Connecticut, Inc., a services-based physician practice management and infertility organization, and President and CEO of Value Oncology Science, a specialty health care provider. Mr. Randazzo was a Co-Founder of Value Health Inc., and oversaw the firm's acquisitions and product development. At Managed Health Network, a behavioral health company that he co-founded and is now owned by Health Net, Mr. Randazzo served as COO and CFO. He is currently an advisor to Warburg Pincus.